Vaccinating doesn't make you a bad parent. Not vaccinating doesn't make you a bad parent. 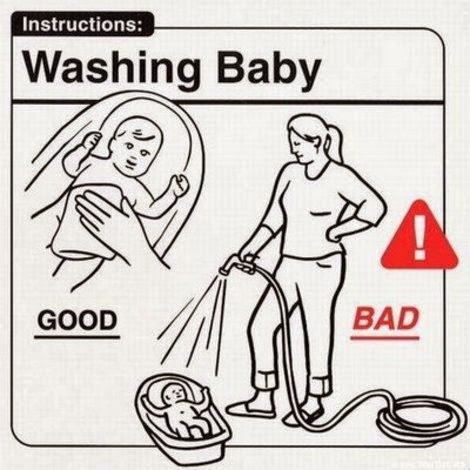 Formula feeding doesn't make you a bad parent. Breastfeeding doesn't make you a bad parent. Circumcising doesn't make you a bad parent. Leaving your child intact doesn't make you a bad parent. Unschooling doesn't make you a bad parent. Sending your kids to school doesn't make you a bad parent. Staying home doesn't make you a bad parent. Working outside of the home doesn't make you a bad parent. You know what makes someone a bad parent? Doing what you know is wrong, harmful, or abusive. Further, choosing ignorance for the sake of not having to change that which may turn out to be wrong, harmful, or abusive. Other than all that, I may not agree with your choices, I may offer you information to help you and your kids, but you are not a bad parent.